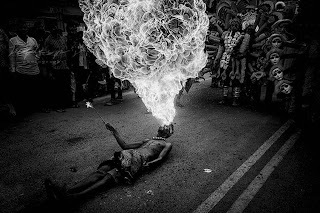 Mukherjee is a photographer from Kolkata who took this incredible action shot of a young, street-performer.. Mukherjee explains that crowds of people swarmed around the boy to watch him pour flammable liquids into his mouth before setting it alight in a dramatic performance. Mukherjee discusses his progression in photography: “From my early days, I have been interested in various kinds of sports, trekking and travelling but it was only in 2003 that I stepped into the world of photography. During a trek to the Annapurna Base Camp, Nepal, I became interested in photography. From this time forth this passion became an integral part of my life”. Mukherjee is the recipient of multiple other awards including 1st place in the ‘People’ category of the Smithsonian Magazine Photo Contest - USA. 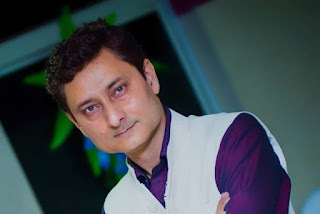 Mukherjee is overjoyed with his achievement: “This is a great honour for me to be the winner of the India National Award at the 2019 Sony World Photography Awards. A big thanks to the organiser as well as all the honourable judges”. As National Award winner, Mukherjee receives the latest digital imaging equipment from Sony and will be flown to London to attend the Sony World Photography Awards ceremony on April 17. The winning work will be shown at the Sony World Photography Awards Exhibition in London from April 18 – May 6 and published in the 2019 Awards’ book.